The Low-Down: Will Anyone Ever Use All the Features Being Stuffed Into Car Dashboards? Will Anyone Ever Use All the Features Being Stuffed Into Car Dashboards? Most smartphone owners use @ 33% of their phone's features. Automakers and tech companies are making cars like rolling phones, motivated more by what they invent and think they can monetize than by what consumers might actually use. If cars do become the next smartphone—a full-blown information and entertainment system but on wheels— Samsung Electronics Co. may have a leg up on its competitors. Samsung, the world’s largest smartphone maker, was a relative nobody in the auto industry until it announced an $8 billion deal two years ago to acquire Harman International Industries Inc., a U.S.-based automotive-technology manufacturer. 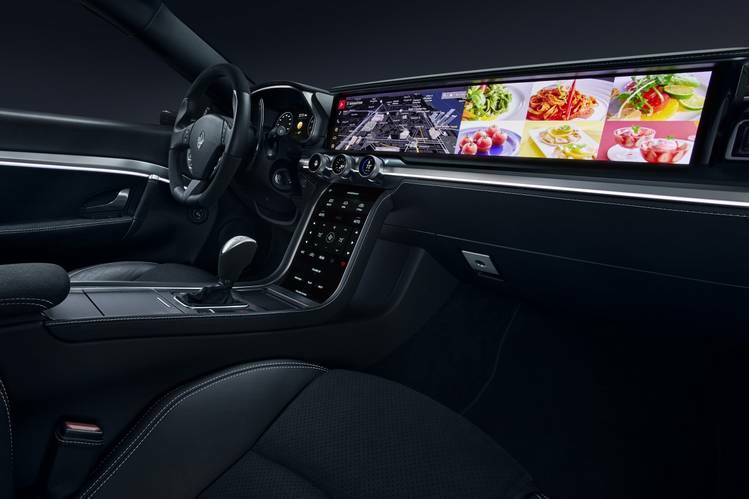 Now, paired up with Harman, the South Korean technology giant is one of the biggest players in the market for the top-of-the-line “infotainment” systems that are in cars today. Its plan is to create a “digital cockpit”—a high-tech revamp of a car’s dashboard designed for an ultra-connected vehicle, with a bank of screens from one side of the car to the other. The screens would allow drivers to control everything from the interior’s temperature to the temperature of the refrigerator back home, and passengers to surf the web and watch streaming videos. A commercialized Samsung digital cockpit is still at least several years away from reaching the market, meaning 2021 or 2022 car models, industry analysts say. In the longer run, Samsung is competing to be the designer of choice—and components supplier—for the interior of driverless cars. “We won’t be driving anymore, so how will we spend time in the car?” says Luca De Ambroggi, a senior AI and auto researcher at IHS Markit , a market researcher. Samsung’s ambitions will be helped by the arrival of next-generation 5G wireless networks that will result in faster download speeds. In August, Samsung said it would invest more than $22 billion over the next three years in areas like 5G, artificial intelligence and auto-technology components. “The connected car is one of the most anticipated breakthroughs in technology. Yet this breakthrough can’t happen without 5G,” says Lee Won-sik, a former Samsung smartphone user-interface designer, who now leads the company’s automotive-electronics research and development team. Approaches like Samsung’s digital cockpit, seeking to replicate the functions of a smartphone, face a serious obstacle: safety concerns. In recent years, J.D. Power and Consumer Reports, among others, have called attention to the potential distraction of in-car multimedia systems. Because of such safety concerns and technological hurdles, most cars today don’t wield the full range of features packed on a smartphone. For instance, drivers trying to search for artists or songs on Spotify are generally blocked from doing so. Similarly, some car makers have apps offering in-vehicle ordering at restaurants, but the full menu can’t be viewed while driving. “Car makers are trying their very best to find that balance between adding features in the vehicle and doing so safely,” says Mo Al-Bodour, who researches connected vehicles at SBD Automotive, a market research and consulting firm. A Samsung spokesman declined to comment. Google parent Alphabet Inc.’s push into providing its Android operating systems for connected cars could hand Samsung a huge advantage, according to auto-industry consultants, because the Korean company is the largest Android handset maker. Last month, the Renault-Nissan-Mitsubishi Alliance, which together sells more vehicles than any other auto maker, chose Google to provide its operating system with a 2021 debut. For example, Samsung figured out how to synchronize Android across three different displays in the digital cockpit, a challenge because previously the screens were often running on different chipsets, if not operating systems. This development reduces costs to auto makers. Samsung has another advantage in the close ties that Harman had forged with dozens of auto makers long before the Samsung acquisition closed last year. Samsung executives have said they want Harman to remain independent, and auto-industry watchers say Harman hasn’t veered much from its pre-acquisition path. Harman’s products include connected-car software that lets drivers use one of several digital assistants, like Amazon.com Inc.’s Alexa or Samsung’s Bixby. Its software also uses artificial intelligence to predict a driver’s podcast preferences, and parents can be alerted if their child drives outside of a specified area. Because of Harman’s prior success, Samsung is already a significant player in the connected-car business. The Samsung-Harman duo was the second-largest auto infotainment supplier in 2017, with $4.8 billion in revenue, according to Strategy Analytics, second only to Panasonic and Sanyo’s $5.1 billion. As the competition intensifies, some auto-industry experts question whether consumers actually want all of the bells and whistles possible in the connected-car era.